We’re as excited at Lloyd Companies as you are about downtown’s newest living option – and we’re ready to celebrate. The Cascade will hold a First Look party Aug. 3 that’s just what it sounds like — your first look at an amazing new place to live downtown. But to get an invite, you’ve got to be on the list. “We have about 100 people on a wait list, and we can’t wait to show you the next steps toward making The Cascade your home,” Lloyd marketing manager Rebecca Filice said. Guests will enjoy specially created appetizers and beverages and be able to look at detailed plans so they can determine exactly which unit at The Cascade is right for them. 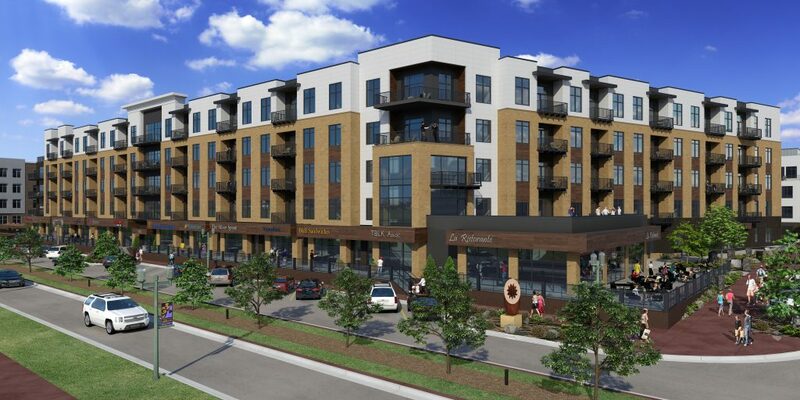 The Cascade will open next spring on North Phillips Avenue across from Falls Park West and offers more than 200 studio, one and two-bedroom units as well as underground parking and a huge courtyard that includes an outdoor pool. 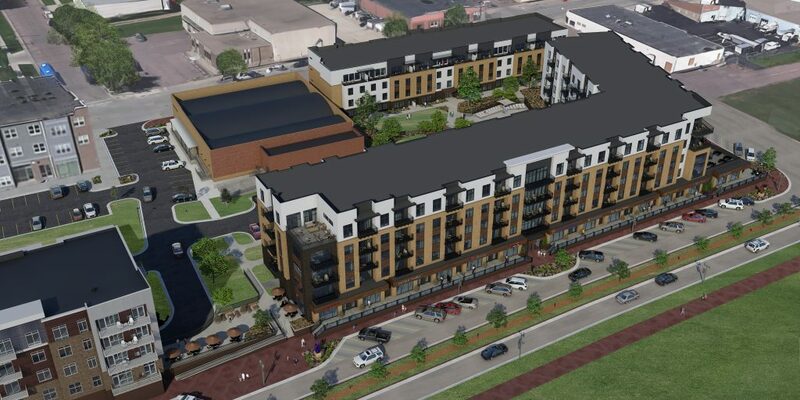 The project also will have places for residents to shop and dine, including plans for a brewery, bakery and pizza restaurant. All sound like where you’d like to live? Get on the wait list and learn more about The Cascade community at www.thecascadeatfallspark.com and complete the contact form. The fun will continue Aug. 9, when things get real. Lloyd Companies will host a lottery party where Cascade residents will be able to lock in their units. “It’s a way to keep a level playing field for everybody, so we’re trying to be really fair,” Filice said.